Perhaps the most well-known tourist attraction in Melbourne, your final stop is Hosier Lane. 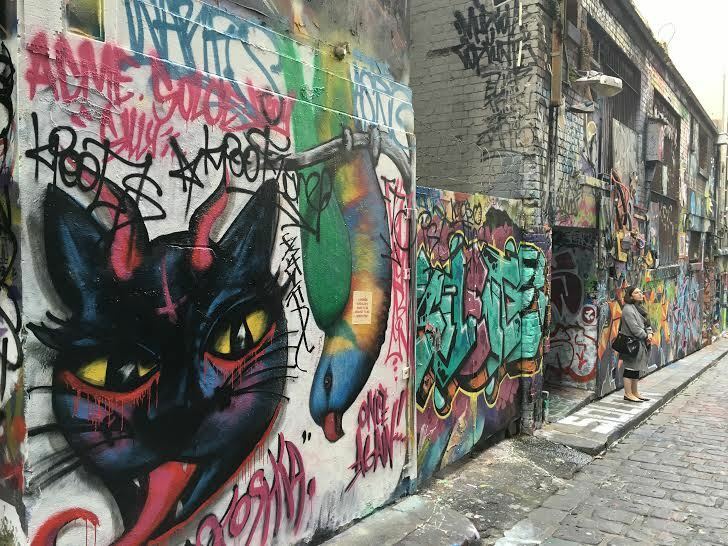 Right around the corner from Federation Square, you’ll enter a bustling laneway filled with graffiti and every color imaginable. It’s interesting to note that this space has become more accepted and has become gentrified by Melbournians. The lane contributes to the commercialization of Melbourne; it’s beautiful art attracts millions of tourists and brings the culture of Melbourne to life. This laneway in particular, is constantly changing. Sometimes the art will be there for weeks or even years, but often, artist’s work is marked over with new tags and graffiti. Spend a lot of time walking in this alley and noticing all the nooks and crannies on the wall. Not only on the walls, however, but also on the ground, through vents and grates and the trash cans as well, which adds to the distinctiveness of this space. Observe all of the detail; there is a lot to see as the art permeates different surfaces. It is a space for possibilities. 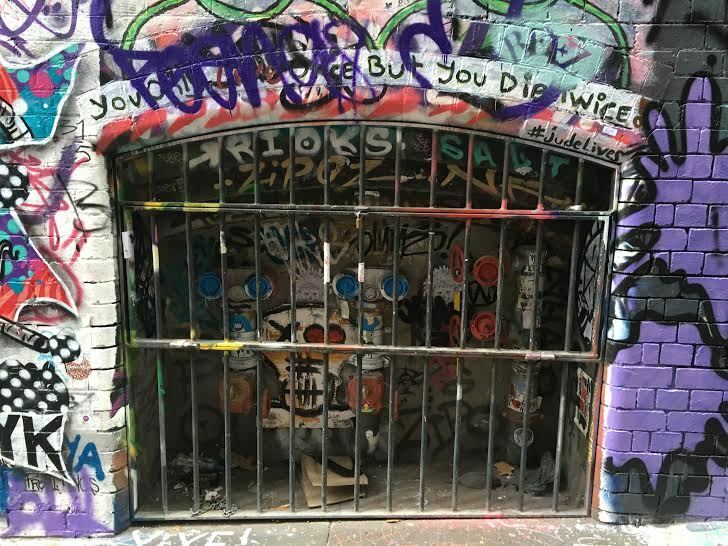 Hosier Lane is an energetic gallery for the community and tourists to appreciate, so take in this experience! “Stop 5: Hosier Lane,” Street Art deTours, accessed April 24, 2019, http://streetartdetours.com/document/1221.